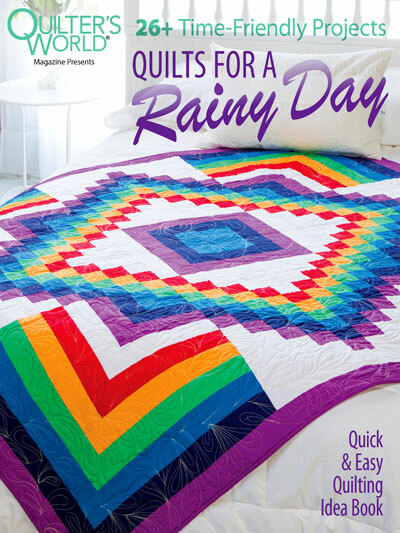 Have you seen this special issue of Quilter's World? Beautiful mug rugs, table runners, wall hangings and bed quilts by very creative designers. However, the highlight for me is that one of my projects is in this magazine! 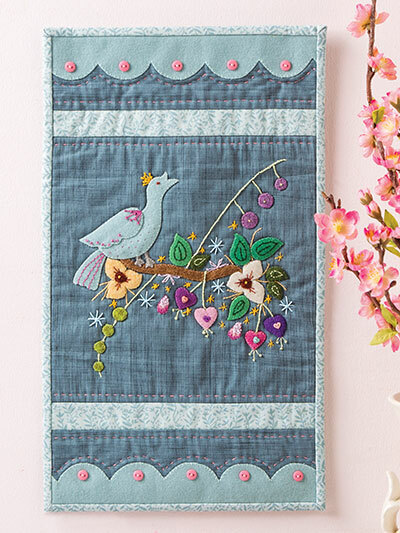 This wall hanging is in chapter 2 - Projects for a Rainy Day - and it is called "Spring is Here!" It is a quick to make project featuring wool applique and embroidery. I quilted around the applique pieces using monofilament, then hand quilted around the borders using large stitches. The instructions are easy to follow with diagrams for placement and embroidery stitches, as well as templates for the borders. I really enjoy working with wool because of its texture, organic colors, and the ease with which we can applique it to any project. I particularly like mixing it with cotton fabrics. Here is hoping spring will be here soon!